New Technologies – This session had the most buzz afterwards and it focused on Virtual Reality & Augmented Reality and how it will play a big part in our lives (training, job duties and more). VR is becoming mainstream and companies are adopting to help make their training and work more effective and efficient. James Spellos from Meeting U did an awesome job engaging the group and pulling the curtain back on some of the newest ways VR will be impacting our work and personal life. 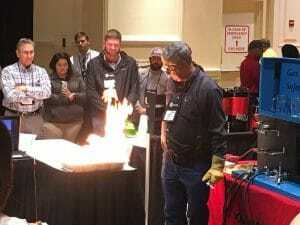 Live Demo of Natural Gas – Roderick Bourgeois (Kinder Morgan) brought the fire to the show, with a fantastic live demo that showcased the various properties of gas – what to be aware of and applied them to real-life examples. 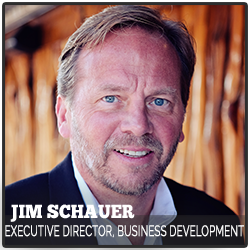 There were plenty of questions and interaction with the crowd and if you are looking for something to break the norm of conference sessions, this is one for sure. Lots of other good stuff at the Damage Prevention Summit, hope to see you out next time or at one of the next shows in or around Louisiana.